CHITO Victolero has resigned as interim coach of the Mahindra Enforcers, rocking a young PBA team that has punched above its weight over the past two seasons. According to multiple sources, Victolero was pressured to resign amid a conflict with bosses of the Columbia Autocar Corporation-owned franchise whose orders the interim coach has repeatedly defied. "Maraming instance, hindi na siya sumusunod sa kagustuhan ng management. Result: mga sorry losses namin as of late," said one Mahindra insider who asked not to be named. Although boxing hero Manny Pacquiao is officially listed as Mahindra playing-coach, Victolero has called the shots for the ballclub since taking over from Glen Capacio in the 2015 Governors Cup. 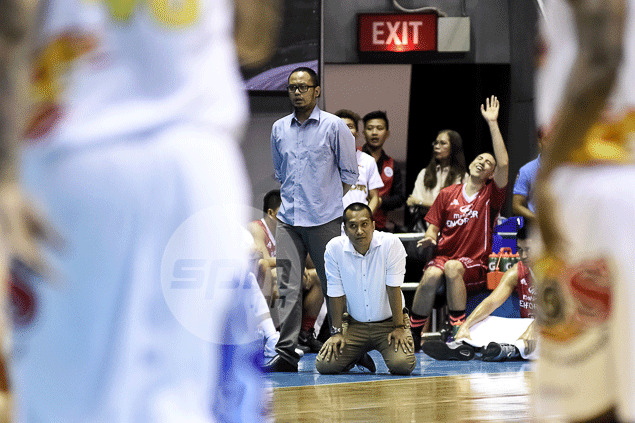 Mahindra compiled an 11-22 (win-loss) record under Victolero, failing to reach the playoffs in three conferences. Another reason blamed for the early departure of the former PBA and MBA point guard out of Mapua was his refusal to follow orders from newly designated basketball operations head and former national coach Joe Lipa. "Hindi na rin n'ya ginalang si Coach Joe. Nalimutan yata niya na isa si Coach Joe sa mga naghubog at umalalay sa kanya. Wala namang naniniwala sa kanya dati pero pinagkatiwalaan siya," the source said. "Nung nagpapanalo na, naging autonomous na siya. Ayaw na sundin ang management sa mga plano. Gusto siya nang siya na lang. Yung mga late game meltdowns namin, marami siyang sinolo run," he added. Contacted for comment by another SPIN.ph staffer, the Sta. Maria, Bulacan native neither confirmed or denied his resignation. "Wala pa kong comment dyan," said Victolero in a short chat with Spin.ph. Asked to comment on the allegation of insubordination, Victolero was even more elusive. "Saka na. Saka na ko magsasalita," he said. Meanwhile, Mahindra management revealed it will soon hire another unheralded coach who it wants to develop in the mold of Victolero and reigning NCAA champion mentor Aldin Ayo, who used to be part of Kia's coaching staff under Pacquiao.